Coin-cell batteries are often used in wearables or system with a real-time clock (RTC). They do the job just fine, but over many years they may start to leak, and some applications may benefit from even smaller batteries. Leaking can be solved by going with solid-state batteries, and we’ve seen in the past TDK launch CeraCharge solid-state batteries packaged into an ultra small SMD form factor. TDK CeraCharge batteries now have at least one competitor with FDK introducing their own SMD solid-state batteries using a high electrochemical potential cathode material “lithium cobalt pyrophosphate” (Li2CoP2O7). 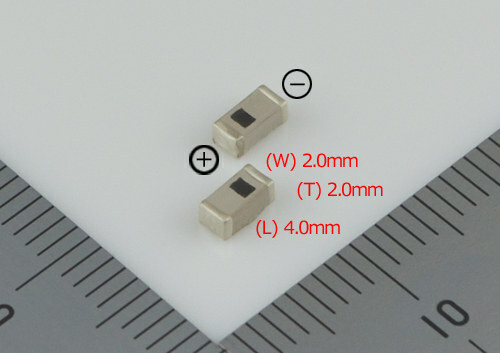 The small size, high capacity, and wide temperature range of the batteries make them suitable for various IoT devices, wearables, backup power supply for semiconductor products such as Real Time Clock (RTC)/SRAM/MCU, industrial equipment used in harsh environments, measurement of automobile equipment, and more. Samples are already shipping, and are currently being showcased at the “5th WEARABLE EXPO” in Tokyo Big Sight until January 18. Samples of higher capacity SMD batteries are expected in April 2019. 140uAh is a tiny capacity! Even the most efficient RTC’s run at about 50nA, so one of these would run it for 2800 hours or about 117 days. Maybe a dozen of these in parallel would run a clock for a couple years, but after that the whole device would be scrapped as these appear to be non-replaceable. What I didn’t get is are they rechargeable? TDK’s SSBs are, I would assume the new competitor’s are as well. this thing is re-chargeable. so scrapping is unlikely , just turn the device on and your charging it.